I just came back from a visit with my family, including my two little nieces. There’s nothing that can capture my heart so quickly as hearing delighted squeals of “Aunt Ann! Aunt Ann! Aunt Ann!” I could have melted into a puddle as I heard their joy when they came running to the door. I was immediately dragged down the stairs of their new home to the “dance room” – a large unfinished basement that my brother and sister-in-law are in the process of remodeling. For now there at two-by-fours on the walls, and a carpet on the floor – nothing else. To the adults it has potential. To two little girls it is the perfect playroom! My oldest niece (who is seven) grabbed my hand and took off running with me. We both squealed and giggled as we raced from one end of the basement to the other, catching each other’s hands, twirling, dancing, and finally collapsing on two little pink bean bag chairs, only to get up and do it again. Joy knew no bounds in the “dance” room! Eventually, tired of running, I was invited into the “Secret Lair” – a card table with copious amounts of painters tape artfully woven around the sides so we couldn’t been seen. Never mind the painters tape was expensive… it was a glorious blue and oh it offered possibility! Next up was watching Disney’s “Tangled,” eating a great meal, then down to the basement again for more play. This time they became my “baby birds” and I had to “feed” them worms made of colorful beads strung together. I don’t think I’ve had that much fun in ages! Children naturally seek joy. They don’t think about what to do. They just follow their fancy. If “The rules” interfere, they come up with something else that sounds fun. We made bracelets, whispered secrets, saw the latest cool toys, and snuck a few bites of Halloween candy… There was no limit to their creative joy-seeking potential. There’s no limit to ours either. The angels have taught me to prioritize joy. I don’t always remember to do so, but frequently I do. I’m sitting outdoors typing this message on the portable computer, munching popcorn, and delighting in the birdsong and beautiful day. Joy has brought me abundance many times. Years ago I took a boat tour while visiting Hawaii. The gentleman who owned the tour company stopped me as I was leaving. “You are so happy you made everyone on the boat happy! I have a free slot tomorrow. Come back and I won’t charge you!” This was a $150 tour! I joyfully accepted. Joy has brought me a new life. I just followed my bliss – one step at a time – right into this career, when I didn’t have a clue what I’d be doing. Joy makes me productive. I got off an airplane last Saturday, and woke up at 4am to drive up north and go hiking on Sunday. A joyful outing gave me the energy to answer the hundreds of emails that I’d missed during my trip. Joy is not frivolity. 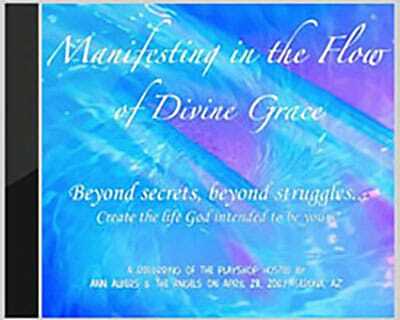 It is a sign that we are listening to our inner compass, and aligned with the Presence of the Divine within. It is not something handed to us always by the outside world and it is something that others can seem to easily steal. In the end, we get to choose our focus however, and the angels remind us with a great deal of love… to choose joy! Give up the excuses and countless reasons why life isn’t or can’t be joyful. I’ve had bills, ill health, and betrayal but that isn’t a reason to avoid seeking joy. In fact seeking the joy in life is what healed me each time. Look for things that make you happy. I scan the places I visit for things that are interesting or beautiful. I look through a familiar grocery for new treats. I look back over my day before bed and give thanks for all that has been good. There are always things to appreciate and enjoy in life. A single piece of dark chocolate offers bliss if that’s your thing! A single melody can turn the day around. A single flower on the forest floor reminds me of life’s miracles. Too often we focus on “reality” – meaning what is in front of us. If you can think joyful thoughts about “reality” by all means do. If no, handle “reality” then instead of worrying, spend time imagining your problems solved, as well as your dreams and desires. Changing your mental focus brings greater joy. I can think one happy thought in the midst of an onslaught of negative ones and it gets me back on track. You’ll handle “reality” better if you can imagine a happy outcome. Sometimes we’re lost in the throes of our humanity and find it too difficult to find joy. If you’ve experienced loss, betrayal, or a number of other very human experiences that are just plain tough. be kind to yourself. Comfort yourself in a healthy way. Sometimes the most joyful thing you can do is curl up under a blanket and sip some hot tea. Little joys lead to bigger ones however, and even these small choices will help you heal and return to a focus of joy once again. Life doesn’t always present its joyful side and yet as the saying goes, “Seek and ye shall find…” Practice choosing joy as often as you can, and watch life shift to become more joyful! 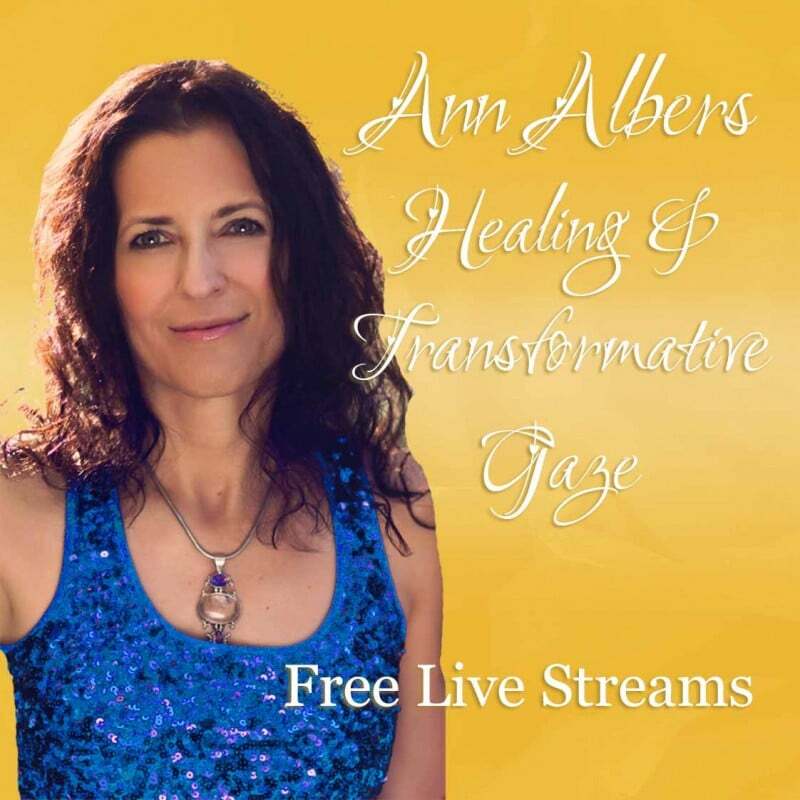 Ann Albers is a popular Author, Spiritual Instructor, Angel Communicator, & Modern Mystic. 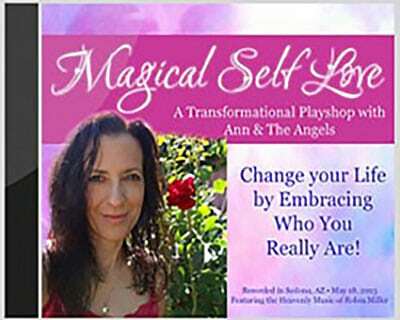 Enjoy her free weekly newsletter, "Messages from Ann & the Angels," her Internet TV show, Live Events, Books, CDs, Recipes, Poetry, Photographs, and more at www.VisionsOfHeaven.com! 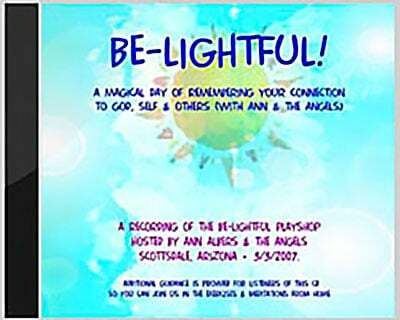 Ann delights in helping you create a heavenly life on earth!